I actually found a little time last week (after three weeks of having the slave drivers my parents helping us with our new home renovation, they headed back to Iowa - taking my two boys with them) to post another room on our Home Tour Photo Series. I'm pretty excited for our features from last weeks' party. You all were very inspiring! 702 Park Project shared part of her beautiful old home renovation. I needed to see this right now with our home reno going on right now. Totally encouraging to see such a beautiful end result! Sunflower Hugs added wood appliques from Michaels behind each knob to not only add stylish flair, but to also hide the damage from the old 80's pulls she removed. 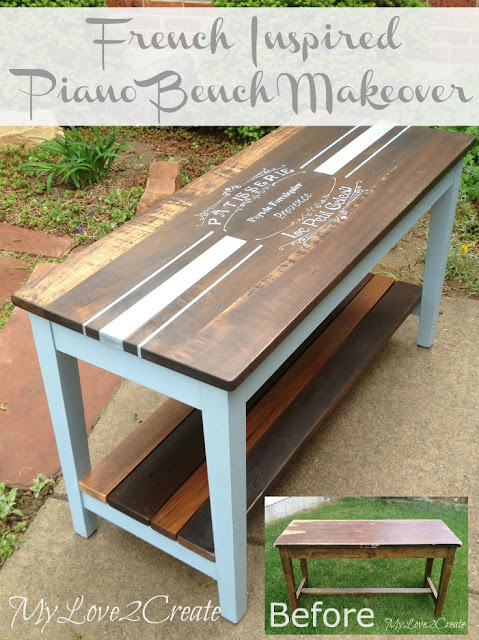 My Love 2 Create had one of those sliver-in-the-rear-end-waiting-to-happen piano benches that she gave a beautiful makeover, with a french flair. 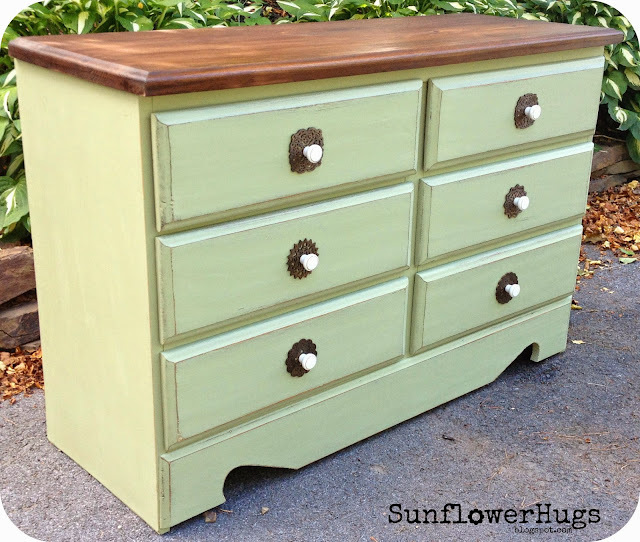 Thank you for featuring my green dresser! I'm a day late, but better late than never. Thanks for always hosting such an awesome party.